SPAUN electronic was established in October 1969. Realm of ideas and initiative connected with spirit of enterprise and courage to risk were major capital of the founder Friedrich Spaun. Since the establishment the philosophy of Friedrich Spaun, consequent quality and reliability, guaranteed continous success and growth of the company to one of the most modern production facilities world-wide. 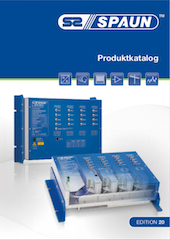 SPAUN multiswitches and amplifiers are used successfully since many years and are proven million fold, as SPAUN was the OEM supplier for leading companies of the aerial industry in Germany, Austria and Switzerland since the early 70´s. As of 1991, Friedrich Spaun launched his own brand "SPAUN" successfully on the German market.